Join Memekast, MalLabel and Hellefante SF for an epic weekend on the river at Fractalize Festival! With an all-star lineup of some of the most forward thinking musicians in the business today. 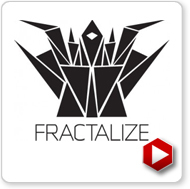 Fractalize prides itself on representing multiple styles of electronic music and hip-hop. This is definitely a festival that sets itself apart from the rest and promises not to be just another annual regurgitation of the same old lineup.